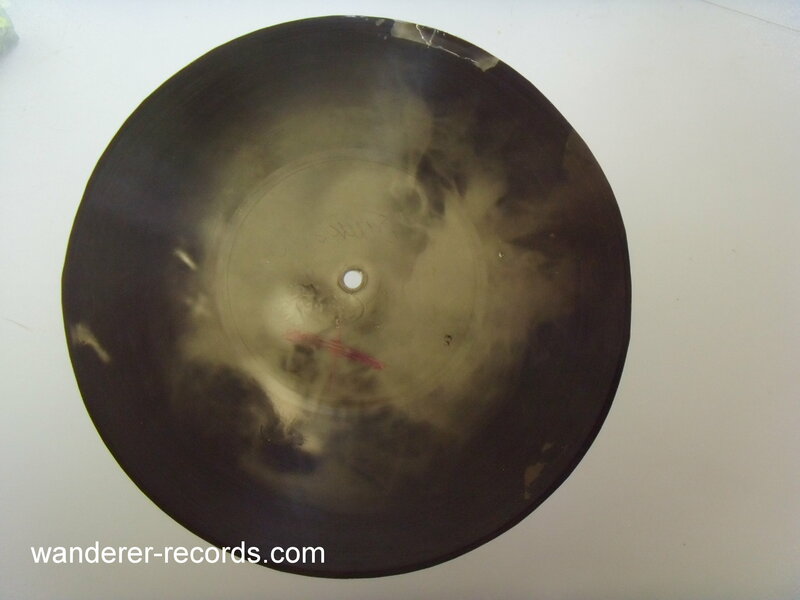 VG 78 rpm, 9 inches. 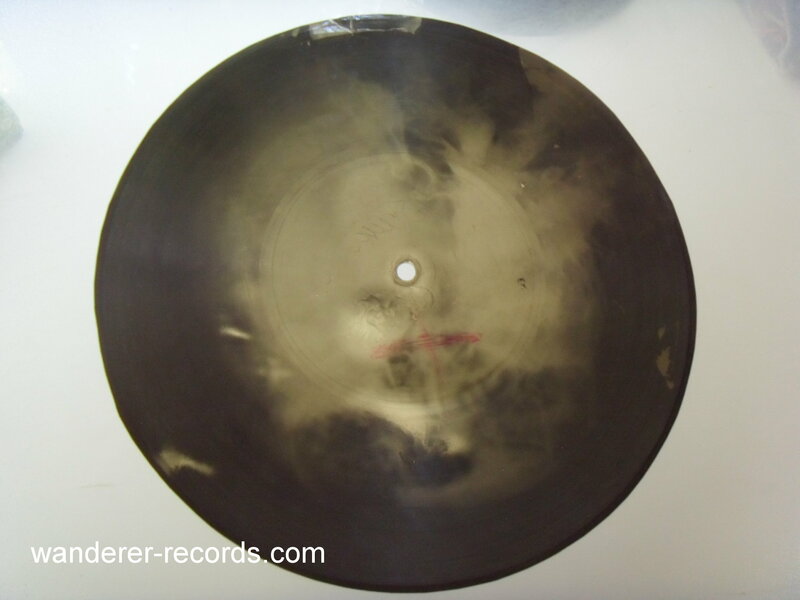 Original russian 1950s underground 2-sided record made of 2 roentgen film records attached to each other. So you see sum of two images: I believe images are skull and backbone. 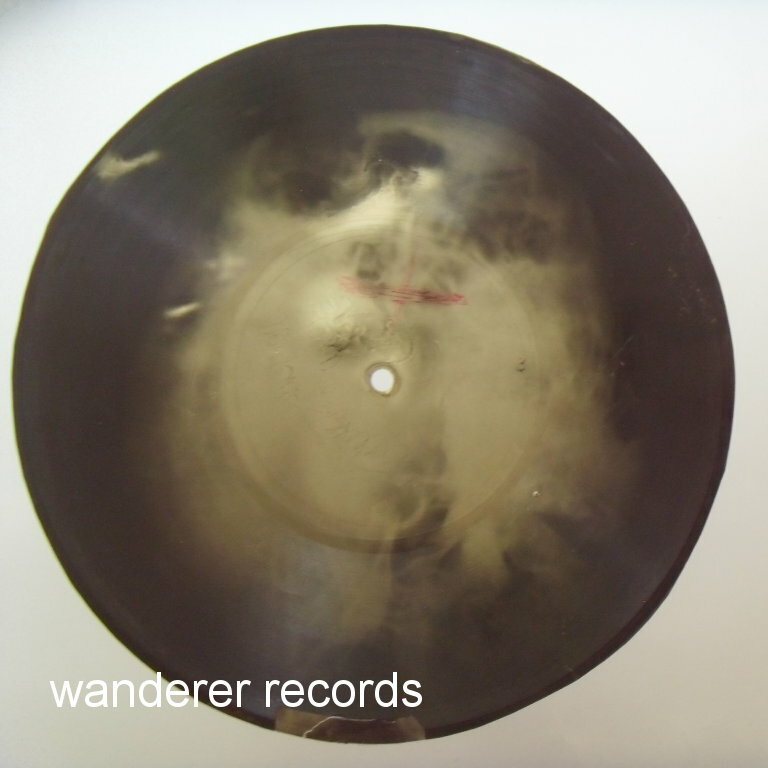 Very beginning of both side has damage, the rest plays fine.